GLofNC is one of more than 5,000 organizations on LibraryThing. Nocalore, vol. I and II; being the transactions of the North Carolina Lodge of Research no. 666, A. F. &. A. M by J. Ray Shute, Jr.
Nocalore, vol. III, part 3 of 4; being the transactions of the North Carolina Lodge of Research no. 666, A. F. &. A. M by J. Ray Shute, Jr.
Nocalore, vol. V, part 2 of 3; being the transactions of the North Carolina Lodge of Research no. 666, A. F. & A. M by J. Ray Shute, Jr.
Nocalore, vol. III, part 2 of 4; being the transactions of the North Carolina Lodge of Research no. 666, A. F. &. A. M by J. Ray Shute, Jr.
Nocalore, vol. 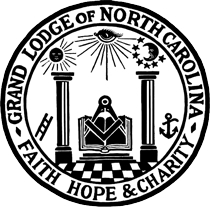 III, part 4 of 4; being the transactions of the North Carolina Lodge of Research no. 666, A. F. &. A. M by J. Ray Shute, Jr.
Nocalore, vol. III, part 1 of 4; being the transactions of the North Carolina Lodge of Research no. 666, A. F. &. A. M by J. Ray Shute, Jr.
Nocalore, vol. VIII; being the transactions of the North Carolina Lodge of Research no. 666, A. F. & A. M by J. Ray Shute, Jr.
Nocalore, vol. IX; being the transactions of the North Carolina Lodge of Research no. 666, A. F. & A. M by J. Ray Shute, Jr.
Nocalore, vol. VII; being the transactions of the North Carolina Lodge of Research no. 666, A. F. & A. M by J. Ray Shute, Jr.
Nocalore, vol. VI; being the transactions of the North Carolina Lodge of Research no. 666, A. F. & A. M by J. Ray Shute, Jr.
Nocalore, vol. V, part 3 of 3; being the transactions of the North Carolina Lodge of Research no. 666, A. F. & A. M by J. Ray Shute, Jr.